I like what I love. I like what I used to despise. I’ll like new things in the future. I’ve learned what I’ve been taught. I’ve learned what I didn’t know. I’ve learned from mistakes. I wish upon a star. I wish from afar. I wish for more. I wish for better. I wish for worse. I wish to learn. Since short on time, and to keep this from becoming a long-worded read let’s get started. I need to improve my walk. I have the talk down already. I wish there were multiples of me so I could do everything I wanted. Everything. I wish I was going to live forever so I could learn everything that interests me. I wish they would call me about the job already. I wish I didn’t wait to workout until I was twenty two years old. I wish my sister and I had more between us than the family cat we had for 14 years. 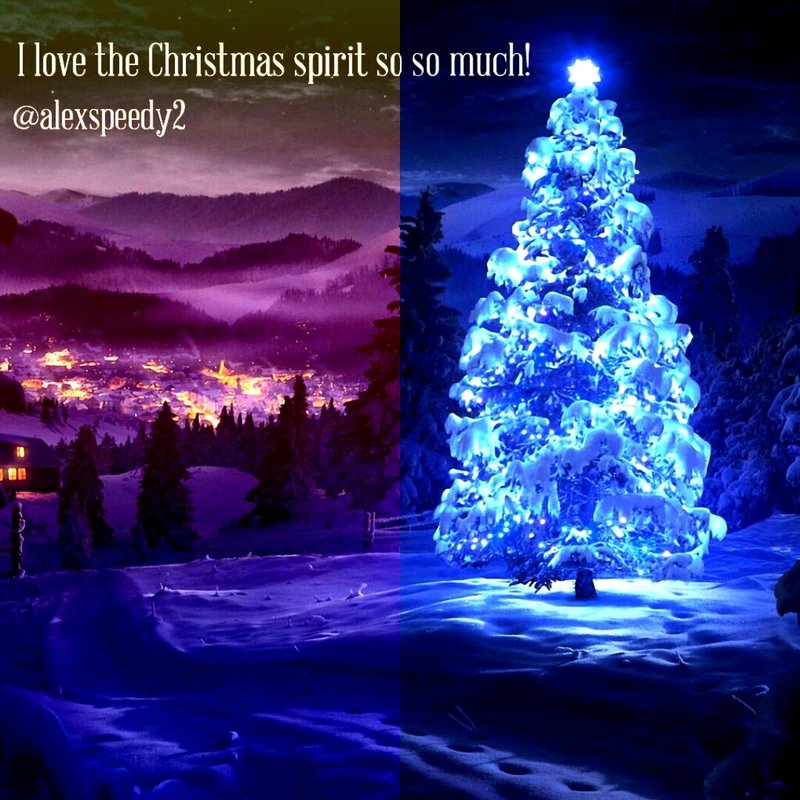 The joy that comes around the Christmas season is a HUGE like for me. This entry was posted in Writing 101/Blogging 101 and tagged Breakfast, Breathe, Burrito, Cardio, Christian, Christmas, Christmas Tree, College, Family, Fitness, God, Gold's Gym, Happiness, Intelligence, Interview, Kettlebell, Kinesiology, Learn, Life Story, Like, List, Love, Monday, Personal Trainer, Water, Wish, Writing101 on November 3, 2015 by iamspeedyalex. T. G. I. F. Thank God It’s Friday! This weekend is getting off to a gorgeous start. Beside the heavy rain ending in flooding I am loving this day already. TBH I am enjoying watching the rain too. Rain enhances the colors God placed for us to find. Everything looks richer when wet. The interview today was the smoothest feeling one I have ever gone through. The community at the place was friendly, and so was the staff. Nice impression Gold’s! If only we were told about accepted hiring in the same way as pictured below. It would be a fantastic feeling. Had to take a short break from this quick blog to let in some more people to the house for an even better day. Two long-distance relatives just made it into town, and it is a brighter place with them here. It was bright to begin with, but it can always be brighter. I’m sure it is possible to have a bright enough atmosphere where blinding is possible. Three weeks until my NASM exam! I Will Be Ready for it. Always have an air of expectancy. If you truly expect something to happen you will find yourself, even if subconsciously, working towards it. Learn to appreciate your blessings. Sit down with a pen and pad for 5 minutes and scratch down what you are thankful for. Yes, I realize it isn’t Thanksgiving, but it is always good to be grateful. If there is something that you want to change about yourself just know that you will need to change the way you think. The mind is a powerful thing. This entry was posted in Onward to 2016 and tagged 2016, Fitness, Gold's Gym, Happiness, Interview, Life Story, Personal Trainer, TGIF, Thanksgiving on October 23, 2015 by iamspeedyalex.